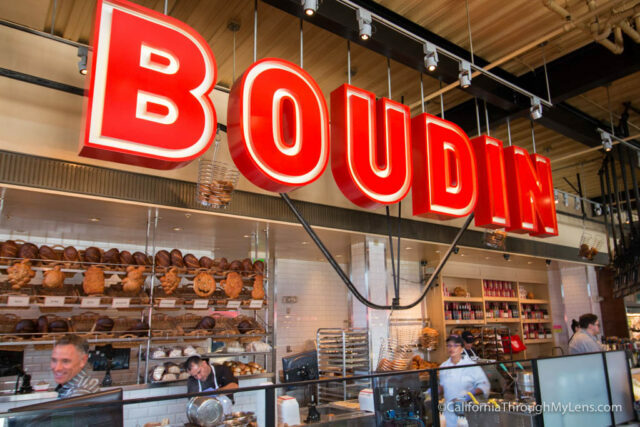 No visit to San Francisco is complete without a stop by the city famous bread making establishment known as Boudin. 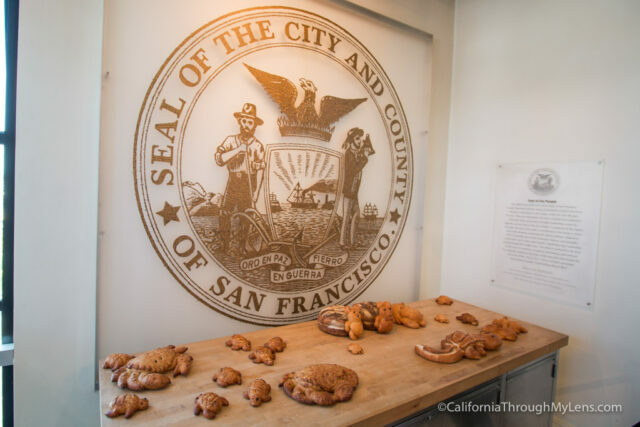 This bakery has a storied history that spans over a century, and during that time it has become a staple in San Francisco. 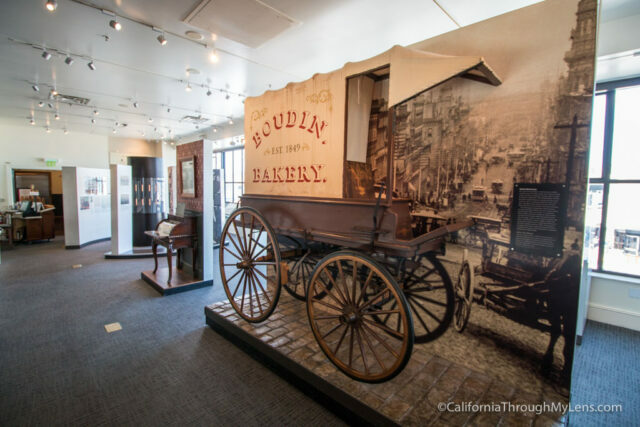 You can just stop by for a quick lunch, or you can head upstairs and go through the museum dedicated to all things Boudin. 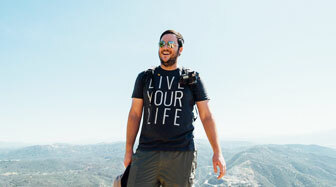 Of course, I chose the to do both, and here is all the information. 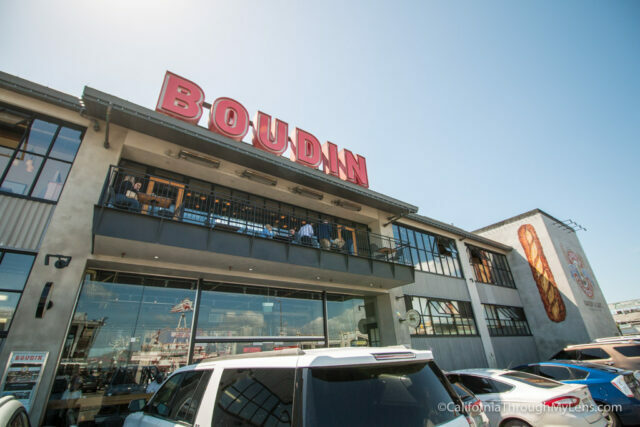 Boudin is in Fisherman’s Wharf, and if you are not familiar with the area then let me recommend you do not drive there. Parking is crazy expensive, and it is much better to take Uber or just public transportation, so you don’t spend upwards of $35 a day to park. 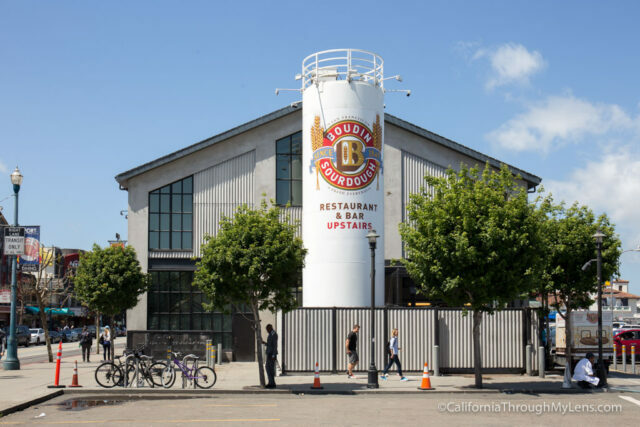 It is hard to miss once you make it down to the wharf as it is one of the largest places in Fishermans Wharf and the sign is a commanding presence. 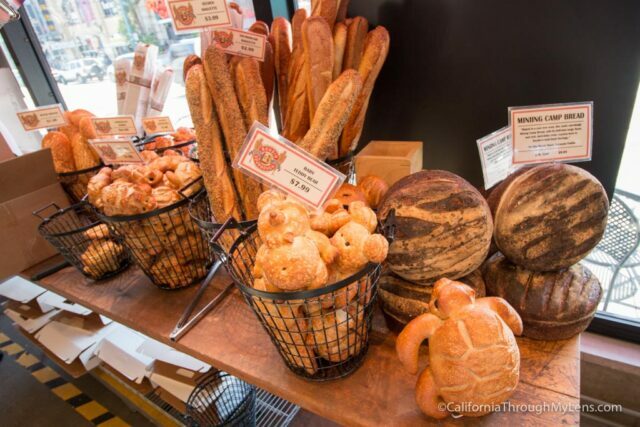 The first floor is the place for buying bread and pastries as well as for placing an order from the take out counter. This is where most people eat at as it is easy to order, wait for your food, then grab a seat at one of the many tables all around. You can even watch some of the bread making process if you sit near the stairs. You can also buy cans of the famous clam chowder here and even some of the bread shaped into animals that have become popular over the last few years. I kept it simple and went with a clam chowder bread bowl. 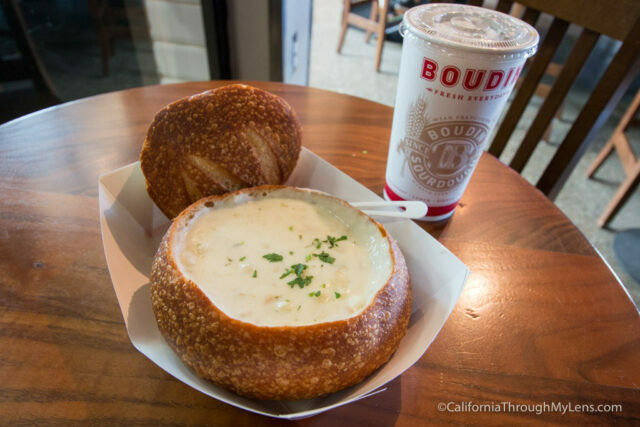 I like their food here, and even though it is touristy and there are better spots for clam chowder, it is just a fun San Francisco experience that doesn’t let you down. After eating, head upstairs, which is where you can visit the small museum. 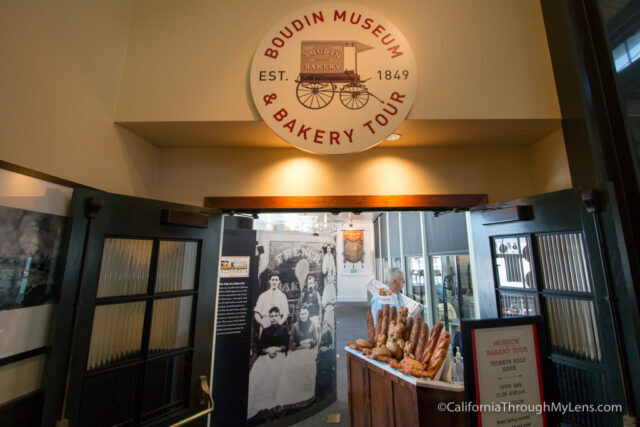 Boudin Bakery has been around in San Francisco since 1849, and it was fascinating to learn all about that history. You can read more in this timeline pdf. 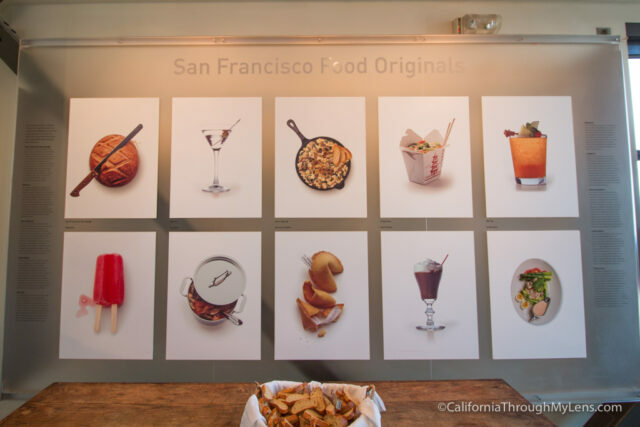 As I made my way around the small museum, they had a wall dedicated to all of the culinary firsts that the city of San Francisco was responsible for, ranging from Mai Tais to Cioppino, the latter of which is a personal favorite of mine. 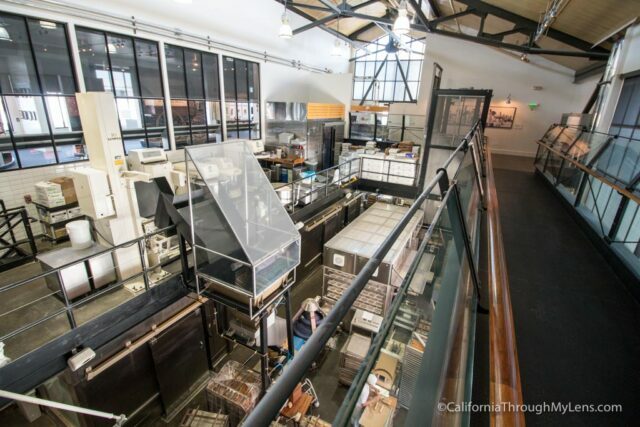 From there you can head to the small walkway that lets you look down on the bread making process. I was told that they make anywhere from 12 – 15 thousand loaves of bread each day and that the production never stops 24 hours a day. 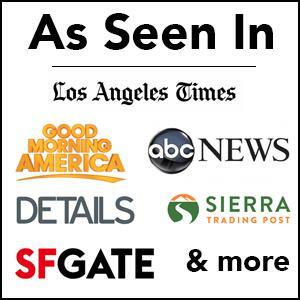 That is such a crazy stat, but it makes sense as they have a half dozen restaurants now all over California. After finishing my time at Boudin, I headed out to continue my exploration of Fisherman’s Wharf. Paying for the small museum was an excellent way to learn about the bread after I had just eaten it. 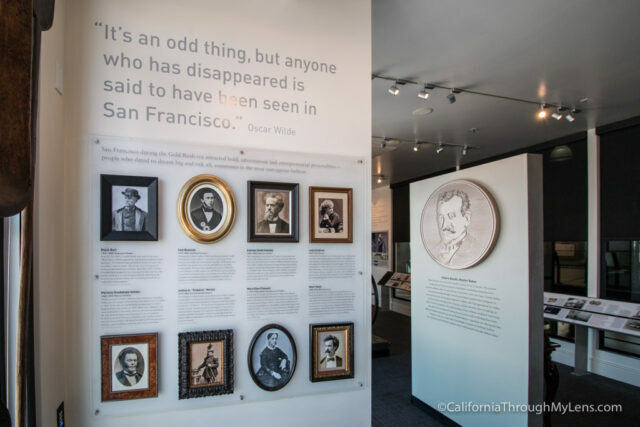 Be sure to check it out if you are visiting and want to learn about this historic San Francisco establishment. Let me know what you think in the comments.